The Escalade SUV of Cadillac was and still is appreciated by many car lovers. If you are one of its fans, then we’ve got a surprise for you. 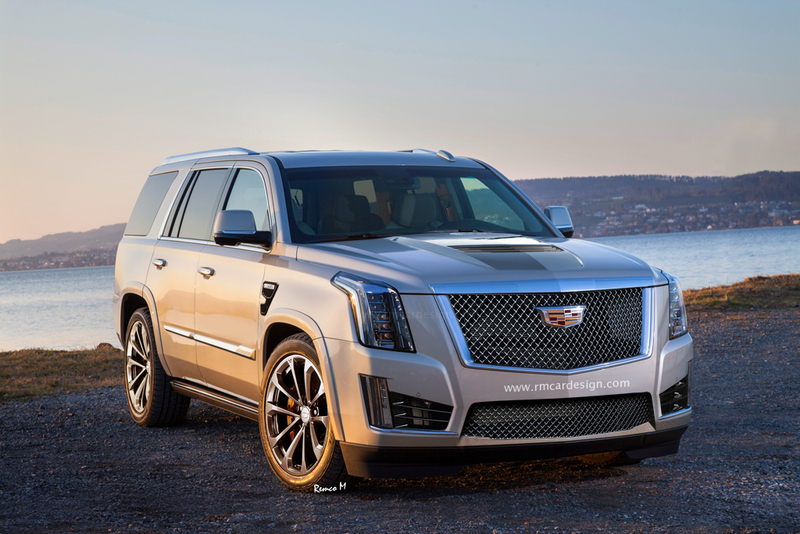 What would you say if I told you Cadillac is working on a high-performance V version of Escalade SUV? That’s right. They’re doing it. And it’s going to cost a lot more than the standard model. But the price is sustainable, anyway, due to the new specifications and improvements the V version will have. In fact, 2016 market will beg for another car of this kind as it is expected to be the most powerful SUV in the US. So the V version of Escalade SUV will proudly work on a supercharged 6.2-liter LT4 V8 engine with 640 Horsepower and 630lb-ft (853Nm) of torque. Yes, it will be powerful, but it will also weight a lot. However, let’s say the design compensates the weight. As you can see in the photo below, the upcoming Cadillac Escalade V will look similar to all the V models. It will definitely have bigger wheels to sustain the bodywork, and a lower ride height. Apart from this, the bumpers and the rear will experience new small changes. The car is supposed to be available on the market in 2016 after its debut at the New York Auto Show.